Look, I just have way toooo many summer shoes and nowhere to wear them. I know some of you may relate. If you follow any of the trends out, pairing socks with your sandals and open toe shoes are all the rage among some fashionistas. I like to call it winterizing your summer wear. Much like how you would pair thick opaque stockings with your skirts or wear collar shirts underneath your sleeveless dresses, pairing socks with your sandals is a great way to add some miles to your summer shoes in the winter. You may get a little cold, LOL, you may not. Depends on how far you would go for fashion. 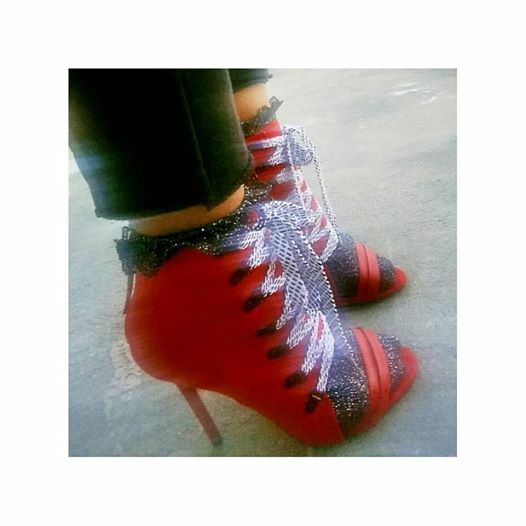 Below is a pic of my GX/Gwen Stefani for Shoedazzle sandal lace up bootie (yes its exactly how I described it) that I paired with TOP SHOP ruffled socks. Personally, I get stopped all the time when I wear these heels, even more so paired with cool girly frilly socks. You can wear this with pencil skirts, pants, joggers, skirts in any form from tulip to midi, really just about any way you like. Give it a try and let me know how trying this styling works for you. Enter your email below to follow and be Officially Cloned! Click and be Officially Cloned!